An AFL Fans Association review of ticket prices has found some have more than doubled since 2013. In 2013 before variable pricing, which started in 2014, the dearest MCG reserved seat was $48. It is now $70 for some games, up 46 per cent, and in some cases can rise even further at the last minute (see dynamic pricing below). At AAMI Stadium, the priciest 2013 reserved seat was $44. This year Adelaide Oval’s prime seats are $95 – more than double. The ABS CPI calculator says allowing for inflation something that was $48 in December 2012, would cost $51.01 in December 2015. Something costing $44 would have risen to $46.76. AFL Fans Association president Gerry Eeman says the size of these increases is totally unjustified, even allowing for the expense involved in moving games to the Adelaide Oval. 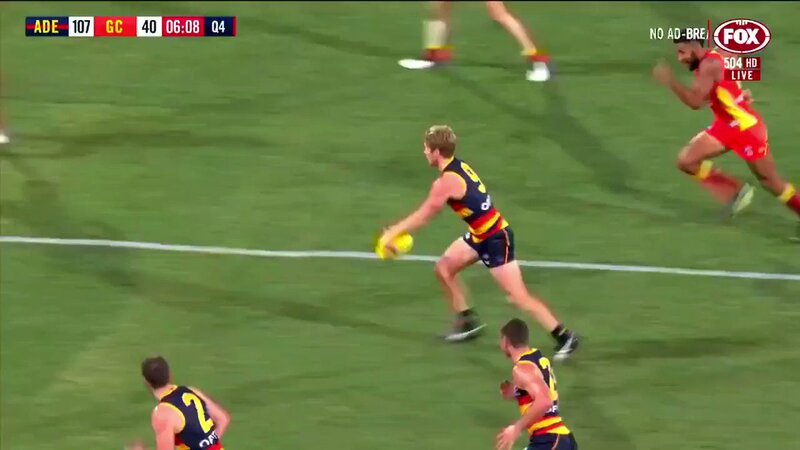 A Crows fan has also noticed a $20 rise in Adelaide Oval ticket prices since last year. In 2015 he paid $55 in Section 536 for a reserved seat at a home game. A reserved seat in the same section for this year’s Showdown against Port Adelaide cost $75. As a boundary line member this is the only way he can access reserved general admission seating. In 2016 AFL fans also have to contend with “dynamic pricing”, which allows clubs to cut the price of low-demand match tickets or raise them for blockbusters up until game day. Richmond and North Melbourne used dynamic pricing in Round 1, with Richmond increasing reserved seat prices for its season opener against Carlton by $2, making the most expensive $72. North Melbourne increased some prices by up to $9, but reduced others by up to $15 for its Etihad Stadium clash against Adelaide. Richmond-Carton attracted 75,706 and North-Adelaide 25,485. “However the overwhelming feedback we’ve had is that fans are very sceptical about dynamic pricing. They see variable and now dynamic pricing as being about raising more revenue at their expense. Prices aside, the new system has significantly complicated pricing structures. Gold Coast’s Round 1 home game against Essendon, for example, had 23 price categories ranging from $26-82. In 2013, MCG games had general admission and two reserved seat categories. Games now commonly have about nine categories, which varies depending on who the home team is. While adult general admission is still $25 in Melbourne, it’s $35 at Port Adelaide home games, $36.50 at West Coast home games, $26 on the Gold Coast and $25.50 in Brisbane. The cheapest Adelaide home game admission is $40; Simonds Stadium standing tickets are $29. The AFL claims dynamic pricing won’t affect members who’ve pre-paid for games. But many members also attend away games. And members without reserved seats may be forced to “upgrade” to more expensive seats to guarantee access to big home matches. Ticket prices from previous years are removed from the internet, making comparisons difficult. The below tables demonstrate how complicated and how much more expensive tickets to AFL games have become since 2013. The AFL Fans Association notes that it was not consulted about introduction of dynamic pricing. AFLFA membership is free and fans are encouraged to join us at www.aflfans.org.au. For more information contact president@aflfans.org.au or media@aflfans.org.au. *Note building surcharge of $1.50 for adults and $3 for families. Error: Error validating access token: Session has expired on Tuesday, 14-Aug-18 19:21:14 PDT. The current time is Sunday, 21-Apr-19 07:21:17 PDT.